Sorry! This product is currently out of stock! 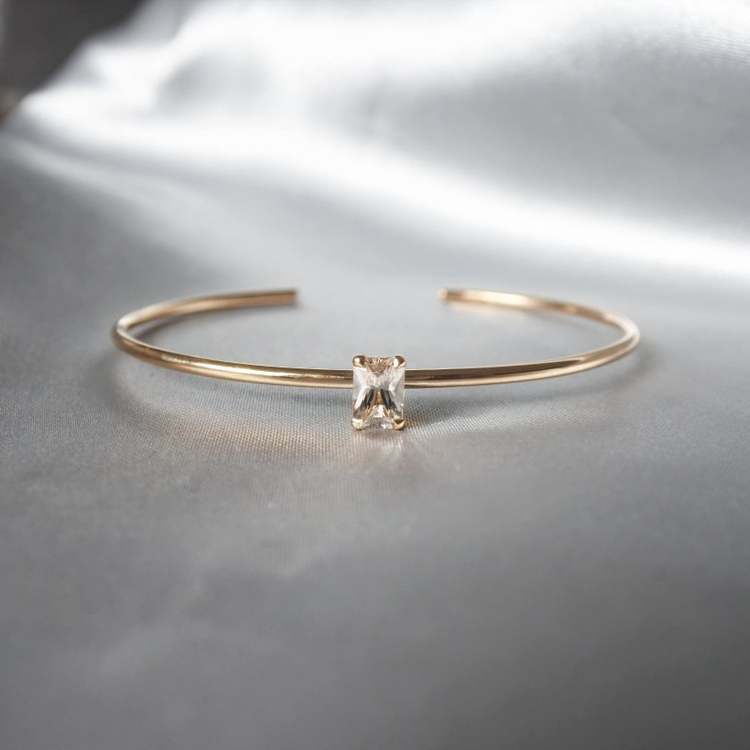 The bangle is made in silver or 18K gold (choose between Red, White & Rose gold) with an Radiant cut champagne morganite. This piece of jewelry is made by hand in Sweden in recycled gold. This bangle is made to order after your size & choice of metal. The bangle is a bit adjusteble by pushing & pulling it. So if your having the size S you can also wear XS and M depending on how you like the fit. If the bangle doesn't fit you we can of course fix it afterwards (within 14 days).